Photo courtesy of California Pops Orchestra Facebook page. California Pops Orchestra’s “Holiday With The Pops” returns on December 2 at 3 p.m. at Flint Center for the Performing Arts, 21250 Stevens Creek Blvd, for one showing only. The musical will include holiday tunes for all ages, as well as hits from Broadway, TV, Big Bend, and Hollywood. This is California Pops Orchestra’s 30th season and consists of the Bay Area’s leading musicians. California Pops is made up of a 75-piece orchestra, with instruments like the flugelhorn, harmonica, conga, accordion, and many more. Individual reserved seat tickets are available for purchase here or in person at the Flint Center box office for $20-$55. Senior and group discounts are available. For more information, click here or contact manager@calpops.org. 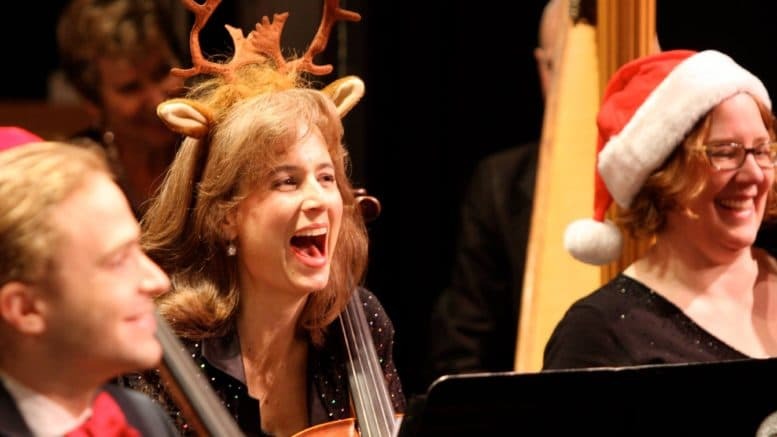 Be the first to comment on "California Pops Orchestra returns for “Holiday With The Pops” concert"